One of the areas of emphasis of Project HEAL is to engage male and male identifying staff, students, and faculty on the campuses of Missouri State University (MSU) and Ozark Technical Community College (OTC) in sexual violence prevention efforts. For far too long, we have been relying on educating women on how to keep themselves safe, how to reduce their chances of being victims of violent sexual crimes, and how to lead conversations about sexual violence prevention. With our Engaging Men Coalitions on both campuses, we are looking to not only broaden this education and awareness piece to include male-identifying students, staff, and faculty but also to encourage these men to take action. 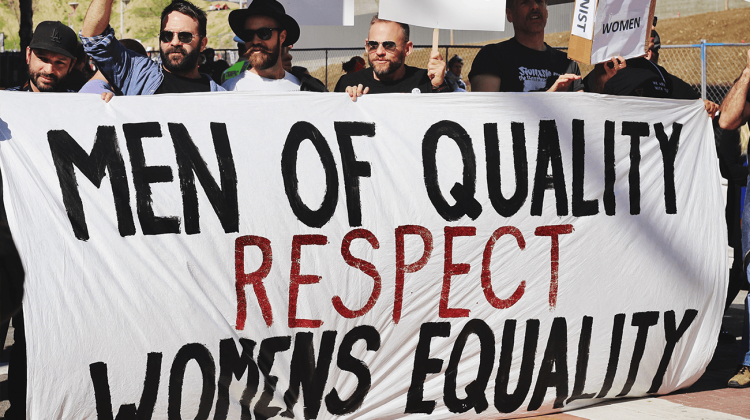 We are working to encourage and ensure male participation by offering opportunities for students to take part in peer-to-peer education, dialogue and activity facilitation, and by providing them with a platform to take a deeper, more critical look at the ways our society promotes and sustains a culture that normalizes sexual violence towards women. This participation is not only important to the task at hand, it is essential to the desired outcome of changing our on and off-campus culture to become a culture intolerant of all types of sexual violence and of the perpetration of harmful male stereotypes. 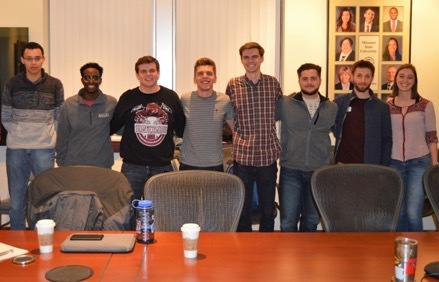 MSU’s Engaging Men Coalition pictured from left to right: Chase Coger, Abdillahi Dirie, Spencer Hashagen, Noah Hendel, Dane Haugen, Dalton McCart, Weston McConnell, and Meaghan Duda. MSU’s Engaging Men Coalition meets every other Thursday night from 5:30 pm-6:30 pm in Siceluff Hall. The last two meeting dates of the spring ’19 semester will beApril 25th and May 2ndin Siceluff 216 from 5:30 pm-6:30 pm.By either the fall of ’19 or the spring ’20 semester, this group will be providing peer-to-peer prevention education to the MSU student body by facilitating student-led activities and dialogue sessions. Please email Weston McConnell at westonm@myharmonyhouse.orgfor more information. “(1) Improve the response protocol and provide support for male-identified survivors of sexual and interpersonal violence; (2) propose activities intended to help our campus male population develop empathy and emotional intelligence; (3) suggest processes that offer campus men a positive, strength-based approach to prevention of gender-based violence; (4) support gender equity; and (5) enhance awareness of the unhealthy aspects of masculinity that may be harmful to the self and others.” Please email Dr. Loren Lundstrom at lundstrl@otc.edufor more information. In the fall, the groups will be co-hosting a screening of the documentary “The Mask You Live In”at the Moxie Cinema followed by a panel discussion. We are excited to be involving these groups in sexual violence prevention efforts on both campuses and we recognize that in order to make a difference, it takes effort on behalf of all involved. Please stay tuned to our website for information on upcoming events. Email Kunti Bentley, project coordinator of Project HEAL, at kuntibentley@missouristate.edufor more information. Want to know more about Project HEAL? 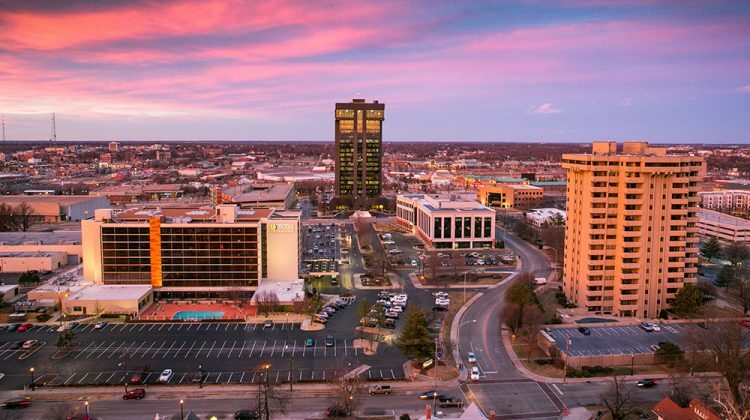 Check out this press release issued by University Communications… don’t miss the short interview with Missouri State Journal’s Nicki Donaldson and Project HEAL coordinator, Kunti Bentley!